Injection stretch blow molds (ISB) – Mold Vision Inc. 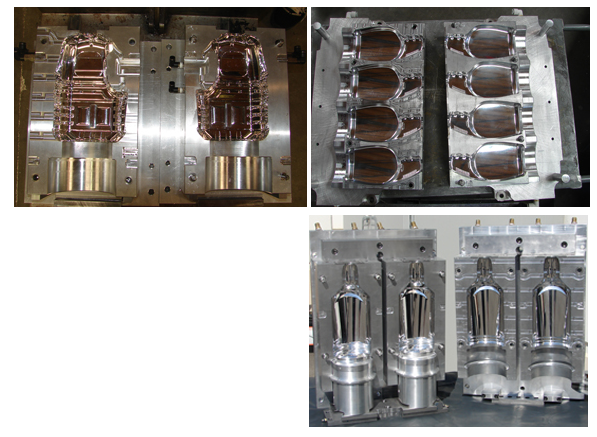 Mold Vision, Inc. manufactures ISB molds for various types of machines such as Nissei 50 MB, DPH, DPW, 650, and Automa for single stage process. These molds are designed according to the perform gram weight and neck finishes. In some cases the molds can have interchangeable neck blocks with base raisers.